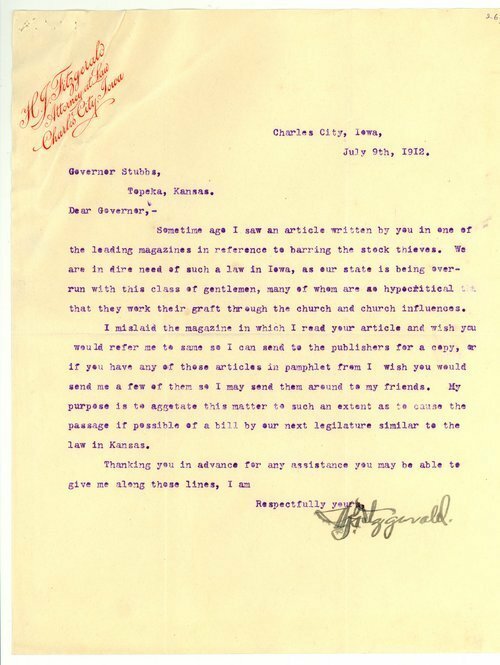 This letter was written by H. J. Fitzgerald, Charles City, Iowa, to Governor Walter Roscoe Stubbs requesting a copy of an article written by Stubbs on the Blue Sky Law. Kansas was the first state to enact the Blue Sky Law, which protected investors from securities fraud. It served as a model for similar statutes in other states.